We have a growing catalog of e-books, all our greatest titles now available in a conveniently lit on your tablet or smartphone! 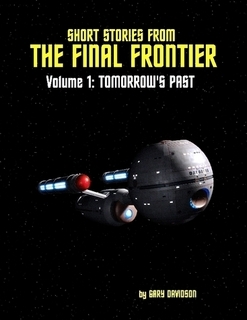 Volume ONE - TOMORROW'S PAST - takes the reader from a World War II Gene Roddenberry through to the Federation's First Contact with the Klingon Empire. 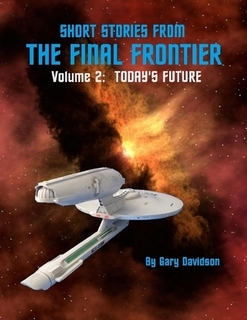 Volume TWO - TODAY'S FUTURE - takes the reader from the origin story for enigmatic NUMBER ONE from Star Trek's first pilot "THE CAGE" through to James T Kirk's promotion to Rear Admiral ahead of STAR TREK THE MOTION PICTURE. 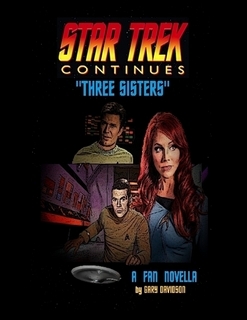 THREE SISTERS - A Star Trek Continues Novella tells the penultimate Gary Mitchell story as he and Kirk are taken to ENTERPRISE for the first time aboard Matt Decker's CONSTELLATION and how the class went from being name STARSHIP to CONSTITUTION. 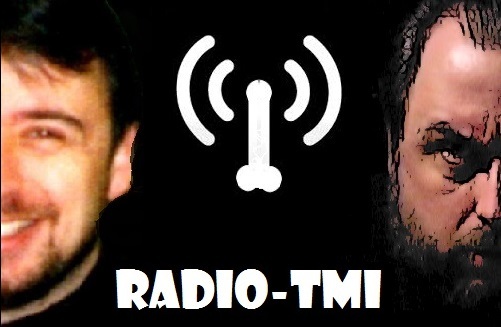 Every story stands on it's own, all the while attempting to reconcile post-Roddenberry Trek to his original vision. A must read for any fan of the Original 1960's series. And coming soon! VOLUME THREE will take readers into stories that would be as visionary to Kirk as "Star Trek" was to us. All provided through free e-books! On his 13th birthday, BILL MAGELLAN is getting his first voyage into space when his family moves to Space Colony Lagrange 5 for the summer. But no sooner has he arrived when he's teamed up with the strangest little kid he's ever met. A brilliant nine-year-old who doesn't know how to talk to anyone his own age because he grew up on a space station with adults. And just as they're bonding, a stranger enters the picture who may kill everyone. So what happens when the only people who know there's danger around are the kids? And what happens when the kids are very resourceful and know the station better than anyone else? Well, those answers and a fun mini-dictionary, are inside, so get going and then maybe you too can save the galaxy! The thrilling serialized prequel to FINNEGAN'S SQUAD begins when an abandoned region of Earth suddenly becomes a violent hotbed that governments around the world use as their playground in a proxy war that will be the precursor to Global conflict if they're not careful. Available individually (except for Book 4) or all-together in the OMNIBUS collection. If you like your Science Fiction EXTRA SPICY then we've got just the book for you! This ground breaking novel FLUX DEITY is now available as an e-book! 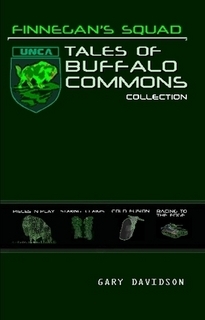 Includes the pithy and humorous FLUXICON dictionary! She was an orphan at eight and a child of the Great Depression. During World War Two she scraped the hull of ships in Atlantic Canada and she was a bride following the war. She was a mother to five baby boomers and then at the age of 60 she returned to High School alongside regular students to get her graduation! The Autobiography of Ethel Davidson is the story of a family set against the spine of the 20th Century. Includes all her poems, short stories and children's tales too! Now available in two versions! 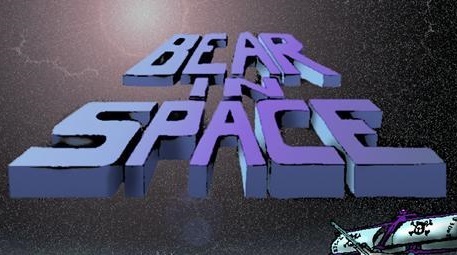 The original 1979 satire of Star Trek: The Motion Picture followed by a selection of various Bear & Friends comics and reprints of the very first and very last original BEAR IN SPACE comic. In the slightly cheaper BLACK & WHITE edition we've also included the complete Adventures of Joe Rat but both editions are available for FULL COLOUR DOWNLOADS! Jessica McArthur was only 33 years old when a crippling illness took her but in those short years she wrote volumes. Collected here in print for the first time are all her Poems, Short Stories, Columns and Articles. Assembled by her mother, Pamela Temple, this book is a testament to a talent forever lost to us with the only treasure she left behind, words... By Jessica. The highly sanitized verson of FLUX DEITY for our more sensitive readers. All the philosophical meat with none of hyper-sexed grissle! that is the terrestrial day."